As Carolyn Steel proves in her book ‘Hungry City’ the morphology of cities is to a large extent the result of the flows of food throughout history and therefore food can be an important factor in contemporary urban development. Precisely these ‘forgotten’ urban spots or ‘urban leftovers’ can provide an opportunity to develop new dynamics, turning wasteland into living spaces. They can become catalysts in enhancing or creating social cohesion and in building a sustainable and healthy environment. The reuse or, in some cases, the recapture of these urban leftovers can be controversial or even subversive as the community – in an act of socialization – takes them in possession. In some way this process can refer to the ‘commons’, a mediaeval English concept of common use of part of the land by the local farmers. In fact this land belonged to everyone and to no one at the same time. Approaching food as a process, not as a product, food can become a powerful tool to reflect on today’s urbanization problems, especially by focusing on these ‘urban leftovers’, just because of their inherent potential for provoking social change. 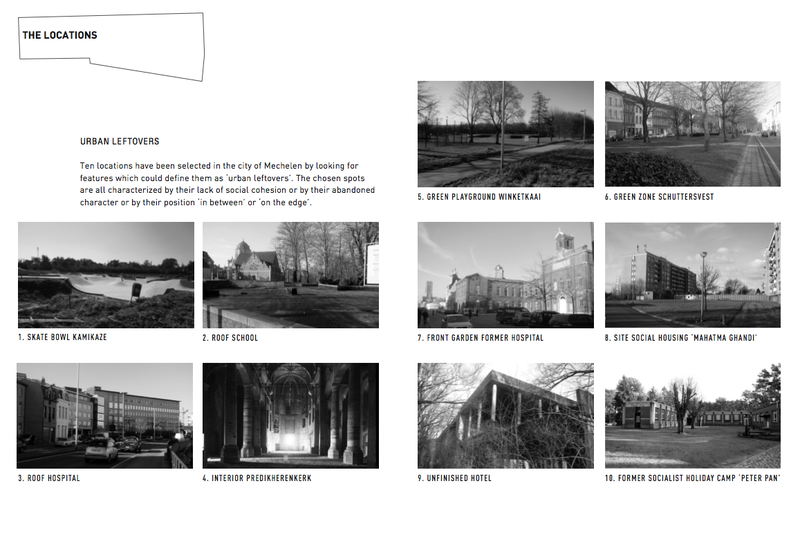 Ten locations have been selected in the city of Mechelen by looking for features which could define them as ‘urban leftovers’. The chosen spots are all characterized by their lack of social cohesion or by their abandoned character or by their position ‘in between’ or ‘on the edge’. Designers can play a leading role in starting this transition process by reinventing these spaces as public spaces, as ‘commons’ for the benefit of those who use them and by coming up with food facilities and scenarios for these forgotten urban spaces or ‘urban leftovers’. 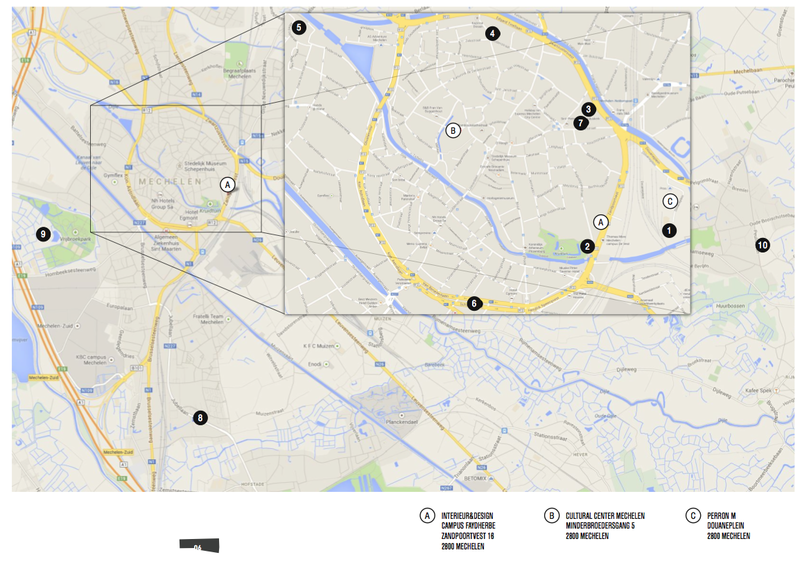 Every student team will visit his specific location and reflect on the particularities and possibilities of the spot. The theme ‘food’ will be the steering parameter in their search for creative proposals and solutions for making the spots better places for the local communities.